Hyundai's Chris Perry:Credited by dealers with being a key player in developing the company's attention-getting marketing efforts. LOS ANGELES -- Chris Perry has been named vice president of marketing at Hyundai Motor America, replacing Joel Ewanick. Perry, 49, has been Hyundai’s interim head of marketing since March, when Ewanick joined Nissan North America. Last week Ewanick was named vice president and chief marketing officer at General Motors. Perry will be responsible for all Hyundai marketing communications and brand development in the United States. He will report to CEO John Krafcik. Perry has been with Hyundai since 2000. Before taking the interim job, Perry was director of marketing and advertising. He has long been credited by dealers with being a key player in developing the company’s attention-getting marketing efforts. Among them has been the Hyundai Assurance Program, which guarantees customers that they can return their purchases if they lose their job. One of Perry’s first duties will be to bring Hyundai’s most expensive vehicle to market -- the $60,000-plus Equus sedan that goes on sale this fall. 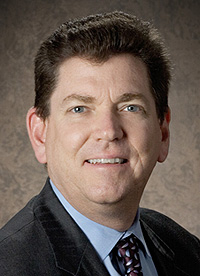 Prior to joining Hyundai, Perry worked in strategic planning and advertising at Isuzu and held marketing positions at the Della Femina McNamee advertising agency. Before that he worked at the consulting firm, Diagnostic Research. Perry has a marketing degree from California State University, Northridge. He lives with his wife and two children in Irvine, Calif.